Successfully Added Q6-White Bluetooth Fitness Tracker - Heartrate Monitor,Pedometer, Calorie Counter, Notificaions, Calls,, 0.96 Inch Display Ip68 to your Shopping Cart. Meet the Q6 fitness tracker: does everything a Bluetooth watch can do, while helping you keep in shape and all at a cheaper price. This fitness bracelet has a heart rate sensor, pedometer, calorie counter sleep monitor and sedentary reminder so can correlate all your exercise routines and sleep patterns. This doesn't just show you how many steps you've taken but also keeps tabs on the health of your heart and indicates how many calories you've burned throughout the day. 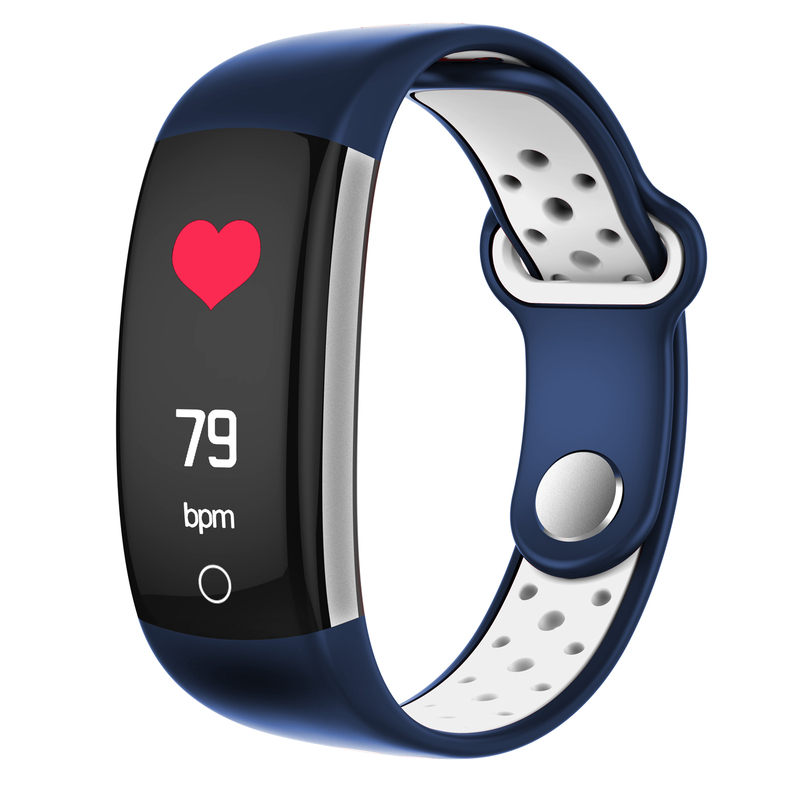 This stylish fitness bracelet looks cool and has an IP68 rating so you don't need to take it off when sweating it out in the sauna or take a shower. It can be paired with your Android or iOS smartphone so you will receive calls and notifications directly on your wrist letting you keep your phone safely tucked in your pocket.